A Massachusetts fire chief who simultaneously served as a member of the town’s Board of Selectmen, is now suing the board and the other selectmen over his termination last February. Fire Chief Ernest J. Cardillo, Jr. filed suit last week in US District Court accusing the Town of Stockbridge, the Stockbridge Board of Selectmen, Selectman Donald M. Chabon, and Selectman Terence R. Flynn with violating his civil rights under federal and state law. On or about July 1, 2012, Plaintiff entered into an employment contract with the Town of Stockbridge as its first full-time Fire Chief. Plaintiff was elected and served his first term as Selectman in 2012, and is currently serving as Selectman. In May of 2016, Plaintiff petitioned the State Ethics Commission for a waiver to allow him to serve as Fire Chief and Selectman at the same time. The Ethics Commission gave a favorable opinion, and Plaintiff, at all times relevant hereto, served the Town in both positions. On or about October 1, 2012, Plaintiff was contacted via telephone by Pioneer Products, Inc. and later by Noble Industrial Supply Corp. (“the Corporations”), regarding the purchase of fire station supplies. Plaintiff agreed to purchase hose and gear cleaner at a price of $229.04. This and all subsequent orders were made by telephone and initiated by the Corporations. On or about November 15, 2013, Plaintiff was contacted again by the Corporations regarding hose and gear cleaner which resulted in an order for $532.69. The Corporations began to double the products shipped and informed Plaintiff, if he did not accept the products, they would have to bill him full price for prior orders, which they claimed to have discounted. This occurred for twenty-one (21) transactions over a six (6) year period. 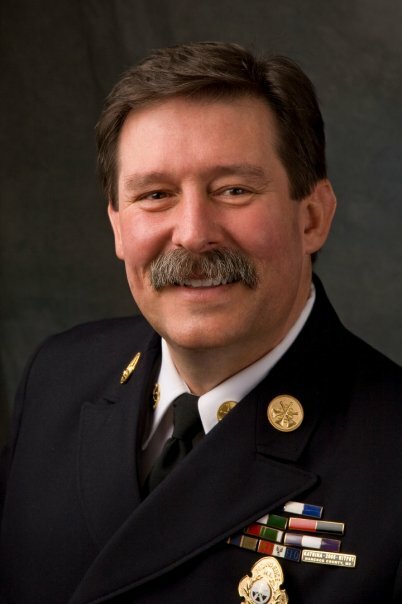 In May of 2018, Plaintiff was re-elected to his third term as Selectman of the Town and his Fire Chief contract was extended for three years. In July and August of 2018, the Corporations sent invoices for product in amounts over $10,000.00 which were not paid by the Town. In August of 2018, the Town Administrator, Danielle Fillio, refused to pay the invoices after consulting with Cardillo. In September of 2018, the matter came to the attention of the other Select Board members, Flynn and Chabon, who contacted Town Counsel, J. Raymond Miyares and directed him to conduct an investigation and write a report. On or about November 27, 2018, Miyares provided the Town with a report which outlined the purchase of the products from the Corporations and concluded that most orders did not require the three bid procurement requisite pursuant to M.G.L. c. 30B and that Plaintiff had no procurement powers delegated to him. The report further concluded the Town had been defrauded by a scam and that the Corporations had victimized multiple small towns and non-profit organizations throughout New England. It is alleged that in December of 2018, Flynn and Chabon went to the Fire Department and sought to find an interim replacement for Plaintiff as Fire Chief. In December of 2018, the Select Board conducted its first executive session meeting with Plaintiff following the Miyares report. In the session, Flynn and Chabon suggested Plaintiff would have job security within the Town and they would work through this issue(s) internally. Shortly thereafter, Flynn and Chabon forwarded a draft agreement to Plaintiff by which Plaintiff would be required to resign, first and foremost, as Selectman and then as Fire Chief. The agreement also provided that if he resigned as Selectman, he may retain employment with the Fire Department in the role of an EMT. On or about December 17, 2018, the Board convened a second executive session in which they outlined a plan to keep Plaintiff employed by the Town in an inferior position, but not within the Fire Department, as he would be terminated as Chief. Plaintiff was not informed to bring counsel to this meeting, and Flynn and Chaban further discouraged Plaintiff from retaining counsel. Plaintiff determined he needed an opportunity to be heard regarding his position as Chief as he had not received any progressive discipline as required by his contract, and felt that this was a politically motivated attack. Plaintiff further states other Town employees have engaged in questionable acts and/or omissions known to the Board and have not faced any discipline. Plaintiff demanded a public executive session and retained counsel. On or about January 29, 2019, Plaintiff was notified that a public executive session was to be convened on February 5, 2019. On or about February 5, 2019, the Board made … conclusions and findings of fact …. that Plaintiff would be terminated for cause despite a lack of adequate evidence, and that the progressive discipline clause of his contract would not be honored. The Board cited its authority under the “Strong Chief’ statute, M.G.L. c. 48, § 42, which is limited to the appointment or removal of the Chief.